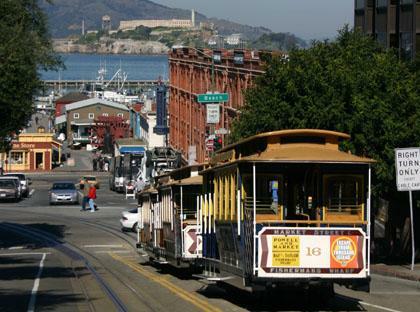 Enjoy the best deal in San Francisco with a San Francisco CityPass. . The CityPass is a booklet with actual admission tickets to all the most famous sights in San Francisco. Best of all, the CityPass means almost 50% savings on normal entry prices! PLUS the San Francisco CityPass includes free extra coupons for further savings, and is packed full with maps, insider tips and much, much more. So jump the queues and enjoy 9 action-packed days in San Francisco with our incredible value San Francisco CityPass offer. 7 Day Use of San Francisco Cable Cars and Muni Cars: Includes 7 whole days unlimited use of the San Francisco Municipal Railway (Muni). 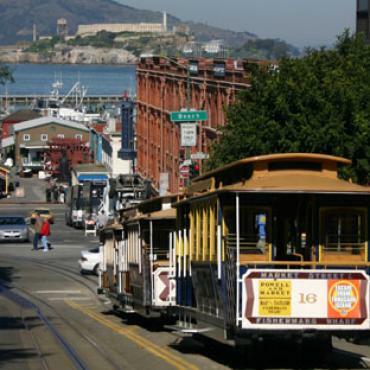 The Muni system includes trolley buses, historic streetcars and world famous cars! California Academy of Sciences. Aquarium of the Bay Museum of Modern Art. Exploratorium Or De Young/ Legion of Honor . San Francisco CityPass Bonus Offers! Bloomingdale's: Includes 15% savings all day, and a signature gift when you spend $100 or more. GoCar Tours: Includes a second hour at half price! Blazing Saddles Bike Rentals and Tours: $5 off the daily rate! Pier 39 Fun Pack: Your CityPass coupon entitles you to dozens of further discounts at Pier 39!